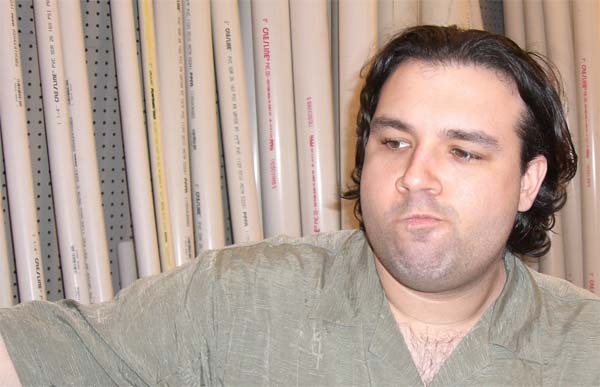 First you should find a hardware store that sells plumbing and electrical supplies. 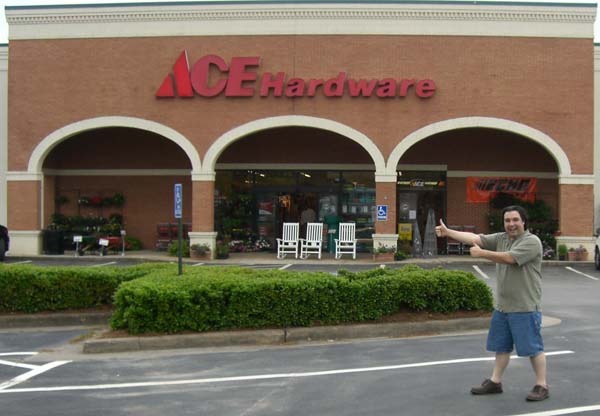 We suggest ACE Hardware; while their selection tends to not be quite as expansive as some Do-It-Yourself superstores, they tend to carry the specialty stuff that we are looking for. In their plumbing section you should be able to find the primary materials for making boffer weapons: PVC pipe. But there are lots of different sizes and types to choose from, and it can be a little daunting figuring out which kind you need. 1/2", schedule 40, 600PSI, PVC tubing (pictured below) is good for any weapon up to 46" in total length, but may be too heavy for small weapons. Thin-walled pvc is also acceptable for anything up to this size, but you should up the diameter to 3/4" if you go over 33" in total length. For really long weapons (52"+), use 3/4" sched. 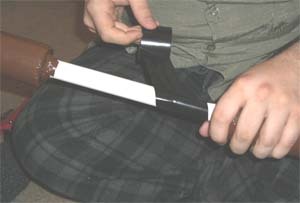 40 pipe, with dowel inserts in the haft to prevent "whippiness." You can probably find foam insulation in the same general place, but make sure that the insulation is at least 5/8" thick (usually the tan stuff in 6' lengths) and fits the appropriate size tubing. 1/2" thick pipe insulation is, unfortunately, far more common, but it is unacceptable for our boffer weapons (and those of most other games, as well). You will also want to pick up some tools for cutting the PVC pipe... like these handy PVC pipe cutters. You do not need to have the pipe cutters, but they will make your life easier. Next you will need duct tape, and lots of it. 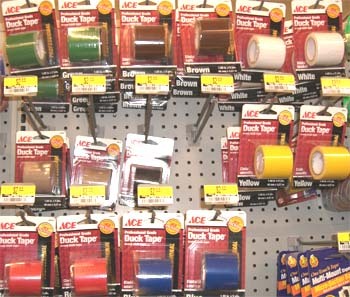 And here is one of the reason why we come to ACE Hardware: their veritable rainbow of Duct Tape colors (though Wal-Mart has been known to sometimes carry multi-color selections of duct tape). You will also want to get a kind of tape called strapping tape, which is good for attaching axe and mace heads, and also for reinforcing other parts which receive a lot of wear. One other material which you will want to find--not pictured here--is open cell foam. Craft stores often carry pillow foam (usually white or green), which is just right for our purposes. Make sure that you have an especially sharp knife when working with the stuff. Now that we have all of our materials, we are ready to begin. 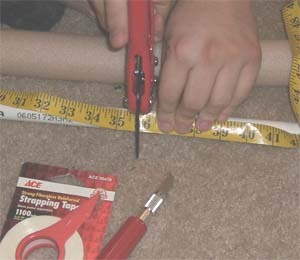 First determine the desired length of your weapon, and measure a section of PVC pipe that is three inches shorter than that and cut the section off. Sand the ends of the pipe and place a small square (or a couple of strips) of duct tape at each end of the pipe. This will let you put the foam over the pipe without risk of the end catching on it and ripping the foam, as well as reducting general wear. Measure and cut a section of the pipe foam for the pommel and the blade/shaft of the weapon. Make sure that there is enough unpadded area for the hilt. 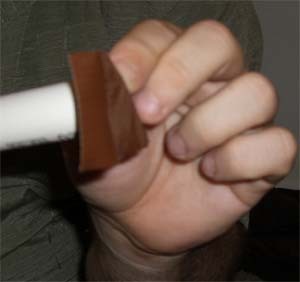 Slide the pipe foam over both ends of the pipe, leaving a half inch of space on both ends. Fill that gap with small pieces of open or closed cell foam, using strapping tape to keep them in place. Place the duct tape (of your chosen color) on the padding in lengthwise strips. Spiral wrapping is unacceptable because it compresses the foam. When that part is done it should look similar to this. Cut out a 2" inch thick piece of open cell foam and attach it to the top of the weapon as a "thrusting point". Even if your weapon is not a thrusting weapon, you must still place this at the top of the weapon for safety. Cover the thrusting point with a layer or two of tape (be careful not to compress the foam too much as you do this) and poke several holes in it. This will allow the foam to bounce back into shape during use. Wrap the hilt section in either tape, leather, or nylon cord. We are using electrical tape in this picture instead of duct tape because it provides a better grip. For the example in the pictures we are making an axe. 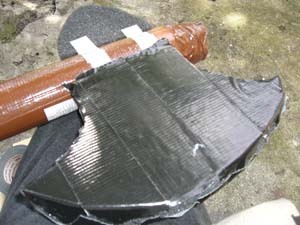 But what is pictured above is enough to make a simple, no frills sword (though you will want to use gray or black duct tape instead of the brown that is pictured). Adding an axe or mace head is a slightly more complex process, which requires carving open cell foam and attaching it to the shaft. Draw what you want on a piece of paper first. It is easier to correct mistakes or change your mind on paper than it is when actually cutting the foam. 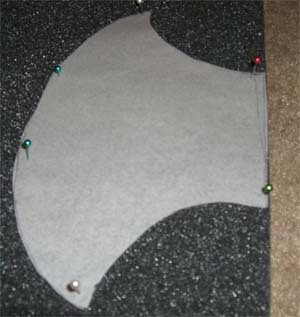 When you are happy with what you have cut it out and attach it to the open cell foam with straight pins. 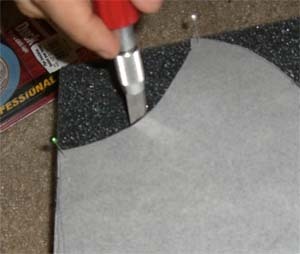 Using an X-acto, or an equally sharp knife, carefully and patiently cut out along the pattern you have created. Do not try to force the knife through the foam, a patient sawing motion letting the edge do its job will work much better. Be prepared to sharpen/replace your knife if it starts tearing the foam instead of cutting. 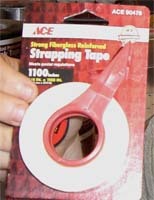 Attach the head to the shaft with strapping tape. Sometimes it is necessary to cut a shallow furrow along the edge where the head meets the shaft to get the head to sit firmly. Put tape on the head in parallel strips that overlap slightly. As with the thrusting tip, you will need to poke many air holes in the head. 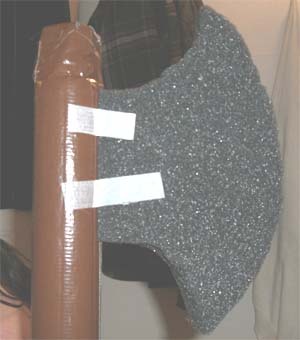 And after placing a little more tape on it to to hide the strapping tape, we have ourselves a boffer axe! Arrows are potentially the most dangerous aspect of boffer combat, and their construction and safe use will be closely monitored. Remember that each and every arrow you bring to the game must be checked in, just like other weapons. *At FoD, we prefer aluminum-shafted arrows; we are allowing graphite shafts a “probationary” trial, but no other form of arrow is allowed, period. Glue a coin onto the shaft of the arrow directly. Layers of hot glue work fairly well for this, but you may have to experiment to figure out something that will hold the coin on firmly. 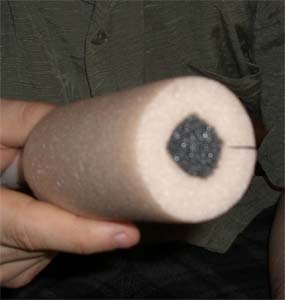 Get a 3 inch (no smaller) cylinder of the closed cell foam and cut a vertical slit out of it, such that it can be wrapped around the end of the arrow, and the coin, securely. Leave at least 1 ½ inches of overhanging foam. Fill this cavity with closed cell foam. 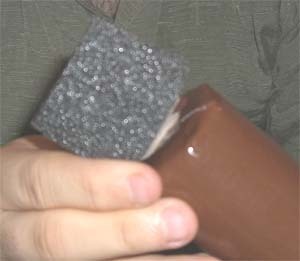 Wrap a long strip of duct tape at the base of the closed cell foam (towards the fletching), so that it forms an anchor point which will prevent the foam from sliding back on impact. Make sure that this anchor is nice and squarely wrapped, and that the foam cannot “ride” up on it. Secure the foam with duct tape. Vertical strips will probably work best, but you might have to use horizontal strips to make things nice and snug. Do not use so much tape, however, that the closed cell foam becomes hard. On to the striking tip. Secure the 2x2 block/cylinder of foam to the pipe foam with strips of duct tape, making sure not to compress it. This step is nearly identical to attaching a thrusting tip, as in the above guide. Again, avoid using so much tape that the arrow tip becomes hard. Poke several air holes in the tip; this will allow it to spring back easily after impact. As a final note, you will probably want to test fire the arrow to see if its balance is right, and if it is constructed durably enough.